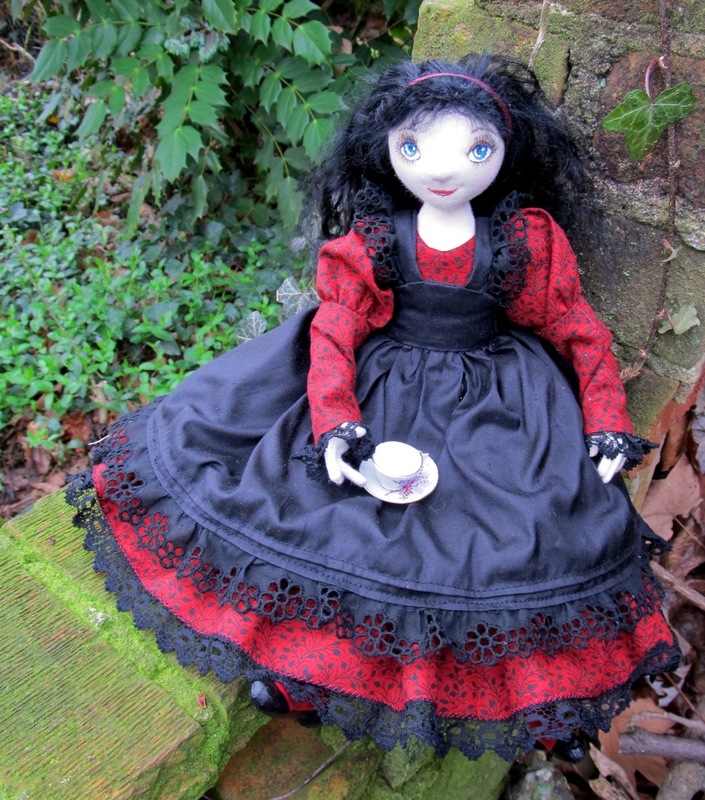 I just realized that I never blogged about my Dark Alice! I know I talked about making her for ages, so not to share her was pretty terrible. So here she is! She has reams of vintage black lace in her dress, not to mention the underclothes and black silk pinafore...and check out those boots. Red again! I think I must secretly desire some red leather button up boots...well who wouldn't? 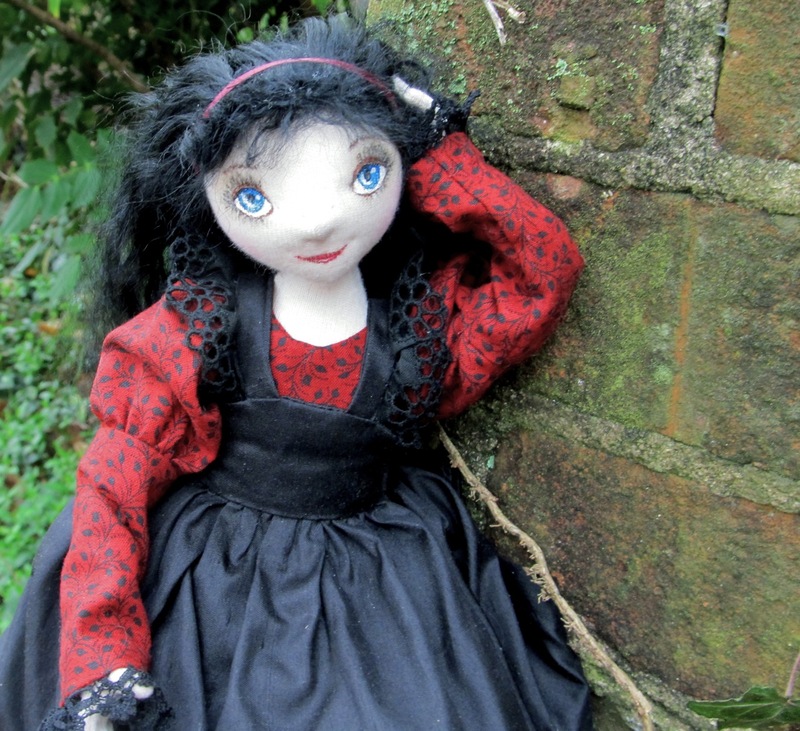 I spent ages sewing all that lace and ruffles too...but she came out exactly as I pictured in my head, making me very happy! So, what do you think? You know I love your Dark Alice, from DA. In full colour she's just glorious. Did you dye the black vintage lace or did you find it that colour? It goes so well with the luscious red. 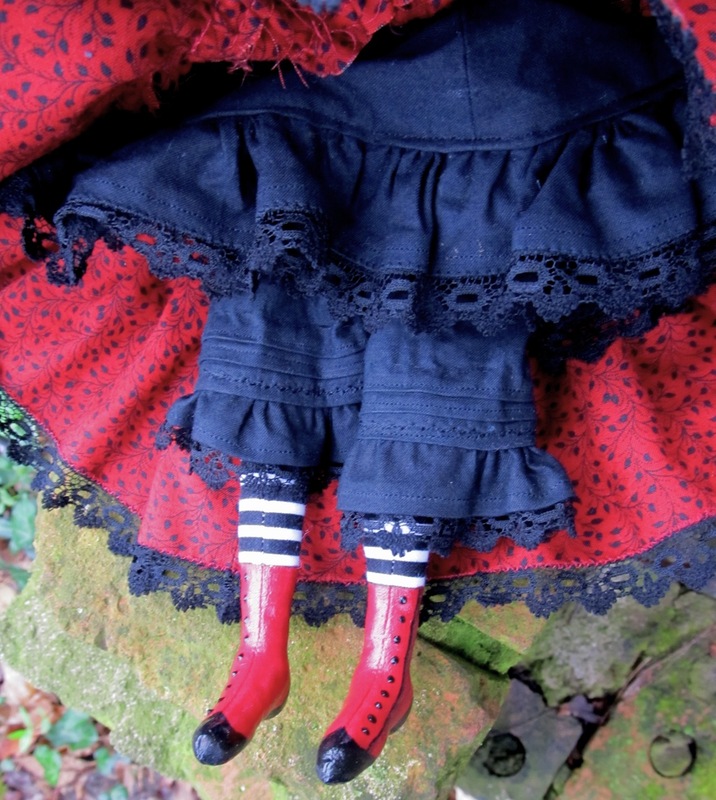 There's such a wealth of detail in her clothes; the little tucked bloomers, the ruffles on the skirt. She's wonderful! I love the boots and the pantaloons and the lace....I love everything about her:) Imagine finding vintage black lace...what a lucky find. Love, love, love her boots. She is most spectacular, well done you. She's FABULOUS! I love every inch of her, esp. those red boots! I covet her, of course. Your Alice is amazing! What a fabulous idea to dress her in 'darker' colors. She is beautiful! Love this gal, wish those boots came in my size! I love anything Alice and Wonderland and your dark Alice is gorgeous! What wonderful detail in her clothing and shoes!